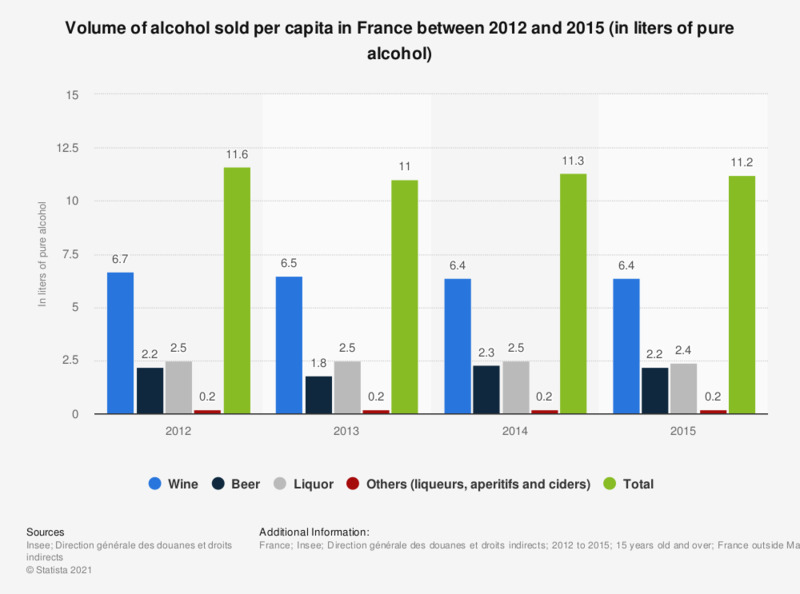 This statistic shows the volume of alcohol sold per capita in France between 2012 and 2015. In 2015, the annual volume of wine sold per capita in France was equivalent to 6.4 liters of pure alcohol. The source adds the following information: "These data take into account the consumption of alcohol only in French territory, the self-consumption of wine producers and alcohol purchases of non-residents. Purchases of alcohol abroad are not considered. Data have been revised since 2000.